As a small business owner, you're busy enough without having to handle your own books. 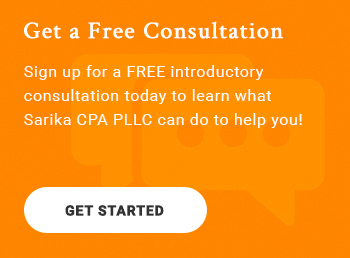 Sarika CPA PLLC, a leading Wake Forest CPA firm, provides small businesses with custom accounting, tax and consulting services designed to meet your business needs. All of our services are scalable, which means you meet your business demands without having to increase your overhead by hiring an in-house bookkeeper. Our accounting services are designed to provide the financials necessary for tax minimization planning, profit maximization and business growth. Let our team help your small business by calling 919-395-5113 today! Sarika CPA PLLC offers complete bookkeeping outsourcing - allowing you to focus on the day-to-day operations of your business. We'll establish and manage a processing workflow fit for your business needs. Cash flow is the single most important aspect of your business. Sarika CPA PLLC will help regulate your cash flow for proper budgeting and projections - both vital to proper business and financial planning. Sarika CPA PLLC can provide the assurance services you need when measuring the financial standing of your company. Receive a notice from the IRS? Sarika CPA PLLC can work on your behalf with the IRS to resolve back taxes, levies, liens, wage garnishment and more. Sarika CPA PLLC offers fully outsourced payroll processing services at competitive rates. 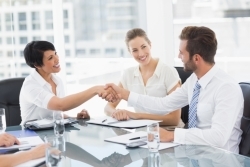 Are you looking to establish a new business in the Wake Forest area? Sarika CPA PLLC can help with entity selection, the registration process, and more. Want to learn more about our small business accounting services? Schedule a free initial consultation now or give us a call at 919-395-5113 today.